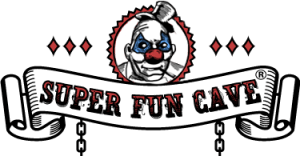 Super Fun Cave is a legal high vendor and an online head shop that carries Kratom extracts among other herbal products. 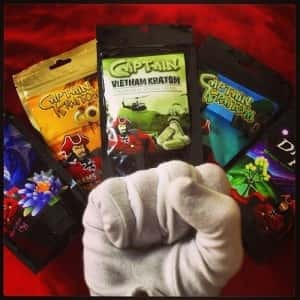 They describe themselves as “the premier purveyor of all things adult, including novelties, smoking and concentrate instruments, and a giant selection of mother Earth’s best and brightest ethnobotanicals.” You will find well-known brand names like Kratom Therapy, Captain Kratom, Kaboom Kratom and PEP Kratom sold on their website. They have a number of positive reviews from users online, though they have been blacklisted by one major Kratom vendor review website. Continue reading for our thoughts on whether to purchase from this online store. Should you purchase Kratom from Super Fun Cave? Regardless of what you think about Super Fun Cave, their marketing and their customer service, one thing that is clear is that if you purchase your Kratom from this website you can expect to pay more than you would at many other high quality shops. For instance, they carry 4 gram packages of the Captain Kratom 15x extract powder for $31.95. An equivalent 4 gram pack of generic 15x extract sells at Arena Ethnobotanicals for $14.99. Super Fun Cave sells a 15 gram package of Kratom Infusion Maeng Da powder for $29.95 while a similar non-branded product can be purchased from Arena for $22.95 for 30 grams. The reason for the price difference has to do with the fact that this vendor only supplies branded Kratom extracts and powders. These products are inevitably going to be more expensive than if you were to purchase Kratom solely on the basis of its strain, source and grade. You are paying more for the brand name and marketing. Some people may develop brand loyalty towards a specific company, though in the long run you will end up spending more to receive what is often the same underlying leaf. KratomAssociation.org is a website that maintains a list of certified vendors of Mitragyna Speciosa to advise consumers and pursue the advancement of responsible selling in the industry. They are home to a member base of 13,000+ users and a major component of the online Kratom community. The Kratom Association has decided to blacklist Super Fun Cave as a vendor that you should avoid. Their rationale for this is based on Super Fun Cave’s promotion of Kratom as a legal high and because they sell it alongside imitation illicit drugs. We are inclined to agree that representing Kratom as a legal high is not appropriate marketing for this natural healing herb. It both encourages potentially irresponsible behavior from a select number of consumers who may abuse it and it makes it more likely that a ban will be passed in the future. The legal status of Kratom in the USA is tenuous at the moment with several states having passed or considering making it an illegal substance. This fight to keep it legal is not helped by the association of Kratom with “getting high” or with other synthetic drugs. When you instead highlight the natural benefits of this plant for relieving pain symptoms and improving anxiety and depression in a drug-free way, the case for protecting Kratom use is much easier to understand. The majority of individuals who use this herb take it to improve their physical and mental health and use it in dosages that are safe and enhance mental faculties as opposed to dimming them. It ought to be seen as a natural mood supplement and not associated with other drugs that are dangerous and offer no legitimate medical benefits. As a consumer, your decision to purchase Kratom from one vendor or another is an economic vote for that company’s marketing practices. Unfortunately, if the conversation surrounding this plant is dominated by companies like Super Fun Cave, it is much more likely that we will one day wake up to find Kratom leaves illegal across the USA. For these reasons, we recommend that you buy Kratom from a vendor who specializes in natural herbs and botanicals rather than the Super Fun Cave website.